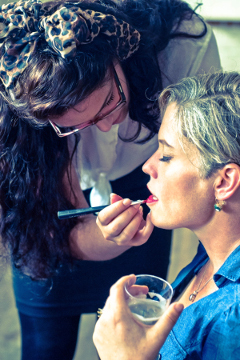 Our vintage hair and make up artists have travelled to other areas on occasion, do ask. Style me vintage! 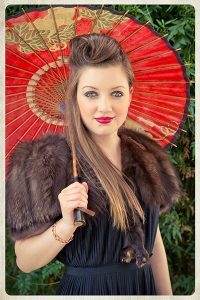 Get the vintage look with our vintage make up and hairstyling for hen parties. Enjoy a lovely afternoon with your friends being pampered while you chat the day away. Our talented vintage hairstylists and make up artists can come to your home or holiday cottage or hotel. 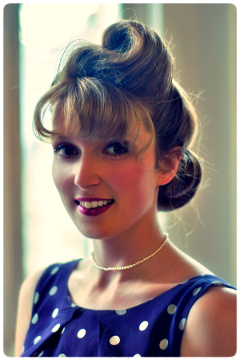 We offer short vintage mini makeover services for hen parties without foundation or lashes. This enables the whole group to have hair and make up done, or you can choose our EITHER hair OR make up package where each girl has one or the other. Or come to one of our partner venues where you can combine the hair and make up with afternoon tea or a dance class for a whole vintage day out. Don’t forget to dress up! 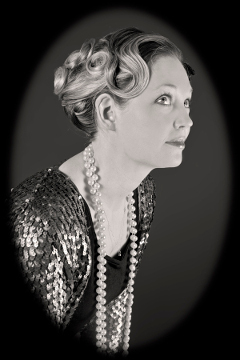 The vintage hair and make up can really set off a dress or even a suit if you’d like to go Marlene Dietrich or gangster. Be creative. Check out our gallery for some of our hens hair and make up choices and ideas for dressing up or theming your hen party. We can also offer the same short hair and make up service for sports and social groups before a company Christmas party, for groups of friends before a vintage night out, or we can style the guests or your clients at your event, as a fun party activity to enjoy. Check out the hair and make up submenus on the left for some looks that have featured at our hen parties, with plenty of photo galleries to inspire you.